In memory of the 96 reds who went to a football match 16 years ago today and didn't come home. Please excuse my ignorance but what is the anniversary Red?? can't be Hillsborough that was before that wasn't it?? Location:Sawley Marina third barge on the left. Interests:Beer then women then Beer but not necessarily in that order. Yes very sad i remember it very clearly.. 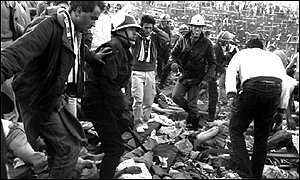 I think we should also remember the victims of The Heysel disaster! The Heysel tragedy - a hidden agenda ? My god I didnt realise that happened the year I left for Oz. Seems such a long time ago. I remember that day so well,all those poor people who perished. it sends shivers down my spine just thinking about it. As for the Heysel tragedy, I'll give your link a go. 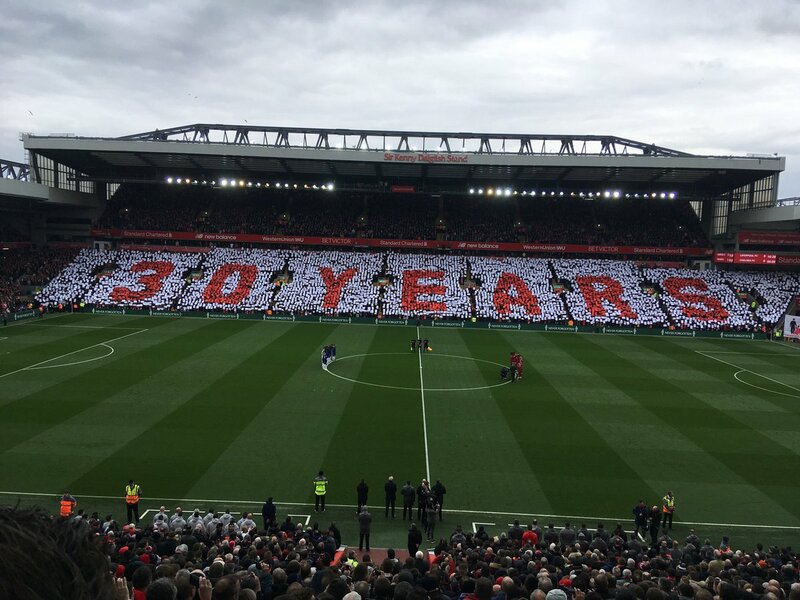 Did anyone see the " JUSTICE FOR THE 96 " protest by the kop end on BBC at Liverpool v Arsenal for the 1st 6 minutes of the game yesterday ....superb telly . I have just added 21 years most of those ages what a mess. Imagine the uproar, the weight of the law, if 96 coppers, lay dead on the floor. I recall the Bradford disaster, was at Beeston marina at the time, had just pulled up in car park and radio Nottingham sports presenter, almost jokingly said words to effect of "we're getting reports of a stand on fire at Bradford, I remember forest's stand burning down, but don't think this is as bad" seemed almost jovial about it! but to be fair wouldn't at that time know full details, neither did we, off we went for few hrs on the boat then got a right shock when we returned to the van. Might be wrong but wasn't there some disaster at a Glasgow Rangers match far worse? 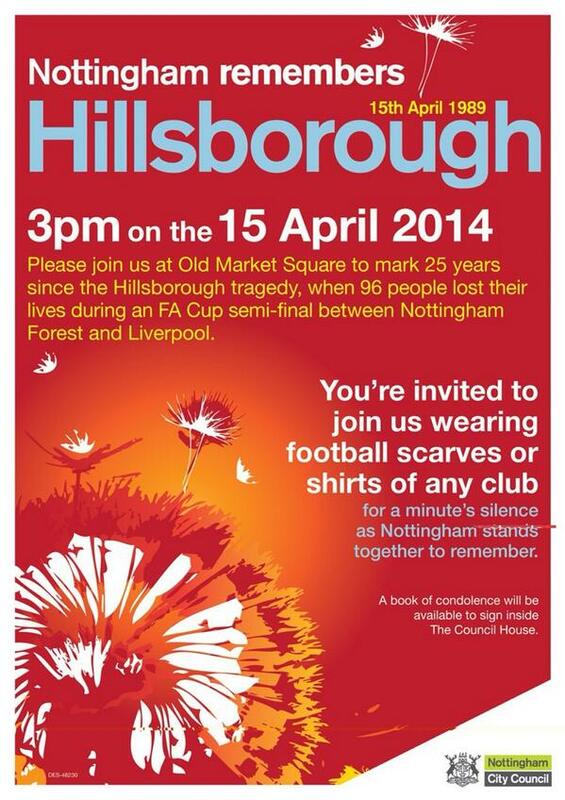 God rest and keep the 96 of Hillsborough. You're not on your own there Ash, I thought 106 people were killed at Ibrox , and it was indeed the biggest disaster at a UK footy match. R.I.P to the 96 who lost their lives in Hillsborough 23 years ago today. Interests:Interests! You think I get spare time after managing this lot? Interests:Reading, Walking, Biking, Photography, the Mighty Pies and exploring our great City. A few of us Notts supporters went to the game with a few Forest mates. I will never forget that day til the day I die. This was before the day's of mobile phones so wasn't able to let my wife, who was pregnant with our first baby, know I was ok. She didn't know at the time that it was the Liverpool fans that were in trouble. She was going frantic, watching the images coming up on the tv. It was awful that it took over an hour before any information was relayed to us and that we stood there hopeless, watching the scene unfold. 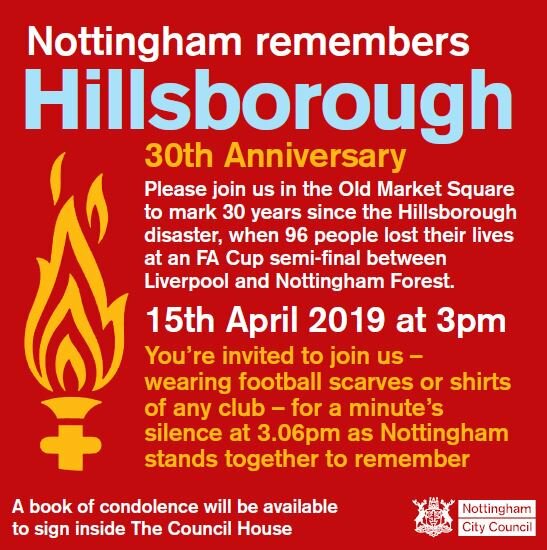 I went with a few Forest supporting work colleagues up to Anfield afterwards to take a collection from our place of work and lay some flowers. Sombre does not do justice to the scenes. God bless and keep them all. as silence greets the break of dawn. of the Liverpool team of 89.
and some football boots beside the bed. for this young boy’s not coming home. while daffodils dance heel to toe. in the Yorkshire sun, one April day. as death descended on Leppings Lane. grows weak inside this deathly cage. await the toll of the justice bell. then pull him up away from harm. as I quietly cry myself to sleep. a lone scots piper plays a tune. then engulfs a young boys picture frame. since that tragic day in 89.
awaiting the toll of the justice bell. Today marks 28 years since the Hillsborough disaster. May they Never Walk Alone. Interests:Reading, walking, golf, bowling, cards. At 7am this morning, we are going to the flagpole in our community for a little ceremony to mark 16 years since 9/11. Then the group will walk together around the 2 mile path circling the area. Wearing our red, white and blue of course. Hope it's not too warm, I'm a wimp in this heat.